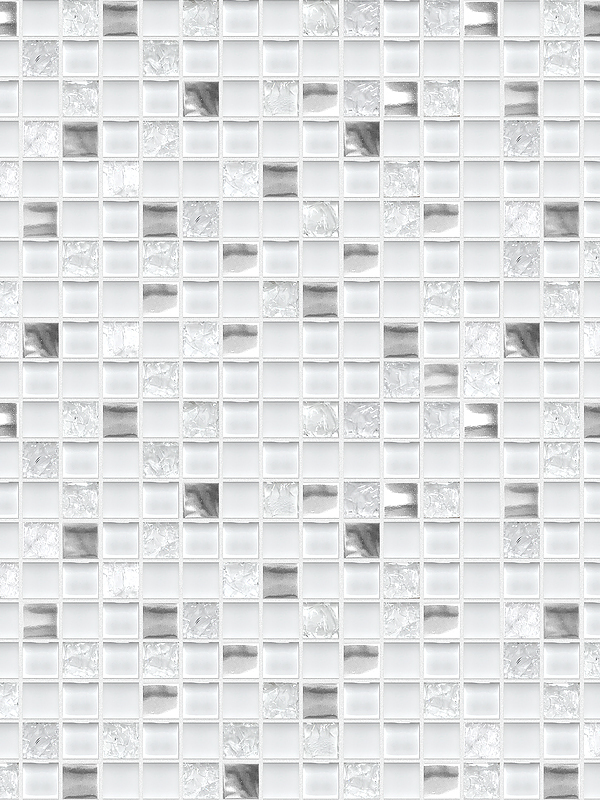 This very unique white modern metal gray glass backsplash tile is ideal for modern, elegance backsplash ideas. 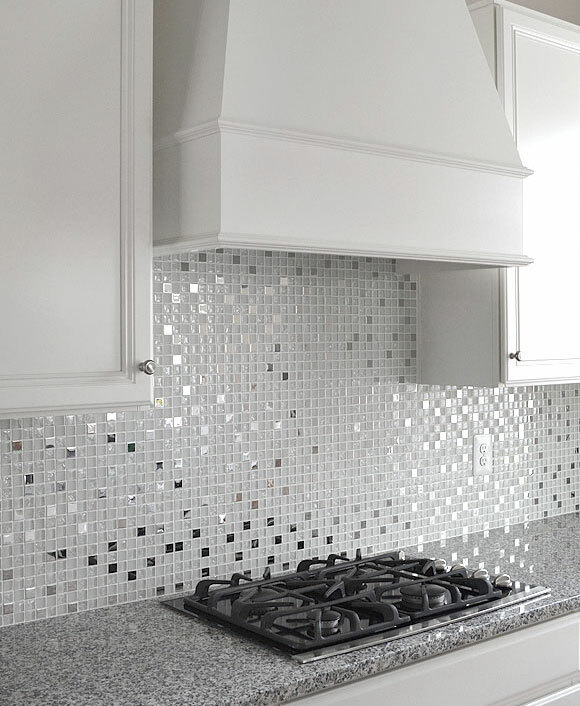 This white glass metal kitchen backsplash tile has two different types of glass finishes on this mosaic including polished mirror metal pieces. 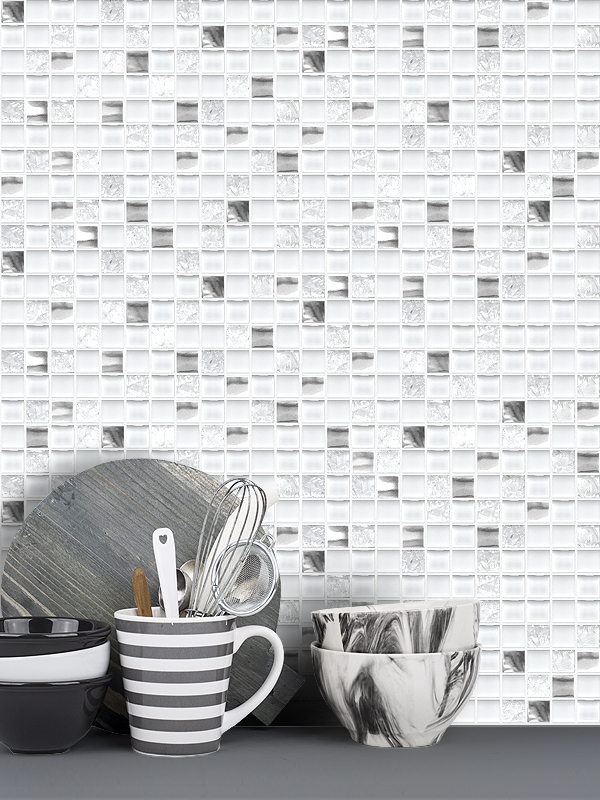 The metal finishes and white glass give this glass metal backsplash tile a wonderful level of depth and a unique quality that can’t be compared to plain single color tiles. 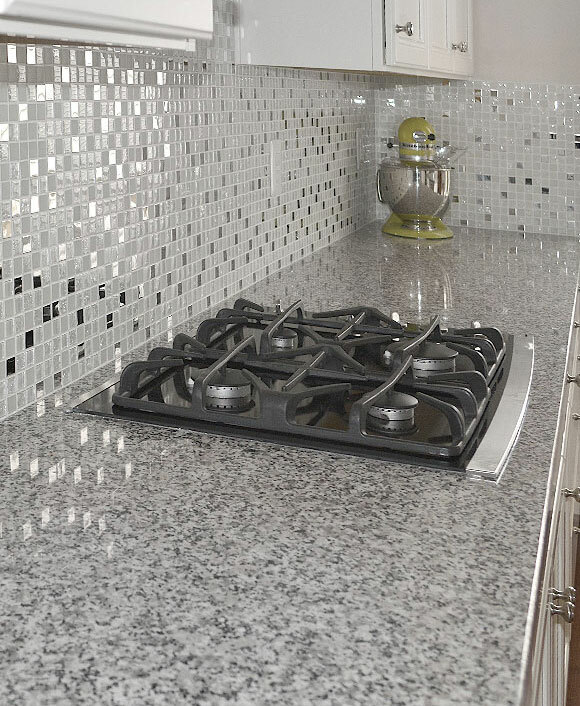 White modern metal gray glass backsplash tile in this sheet are mounted on a mesh which allows for an easy installation.